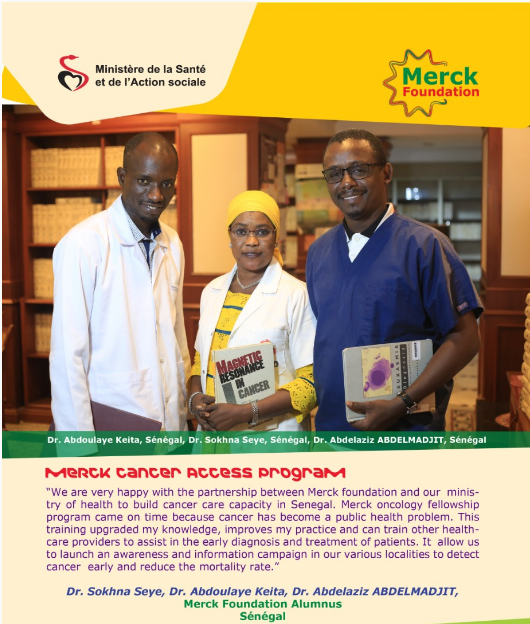 DARMSTADT, Germany – Merck Foundation provides one and two-year Oncology Fellowship Program to African doctors to be the future oncologists in their countries; Merck Foundation commits to long term partnership with African ministries of Health and first ladies to build cancer care capacity in the continent. 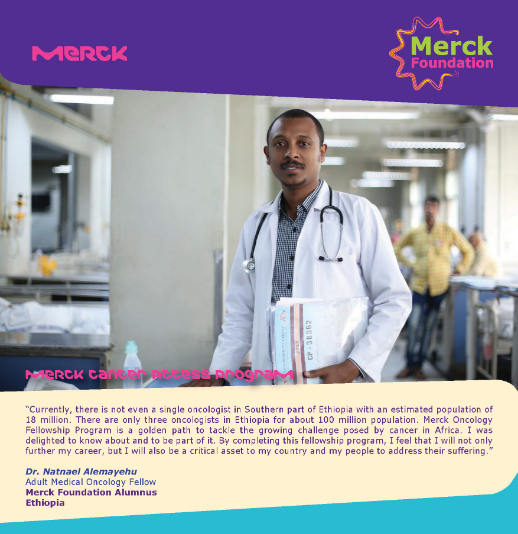 Merck is one of the leading science and technology companies in healthcare, life science and performance materials. Almost 53,000 employees work to further develop technologies that improve and enhance life – from biopharmaceutical therapies to treat cancer or multiple sclerosis, cutting-edge systems for scientific research and production, to liquid crystals for smartphones and LCD televisions. In 2017, Merck generated sales of € 15.3 billion in 66 countries.